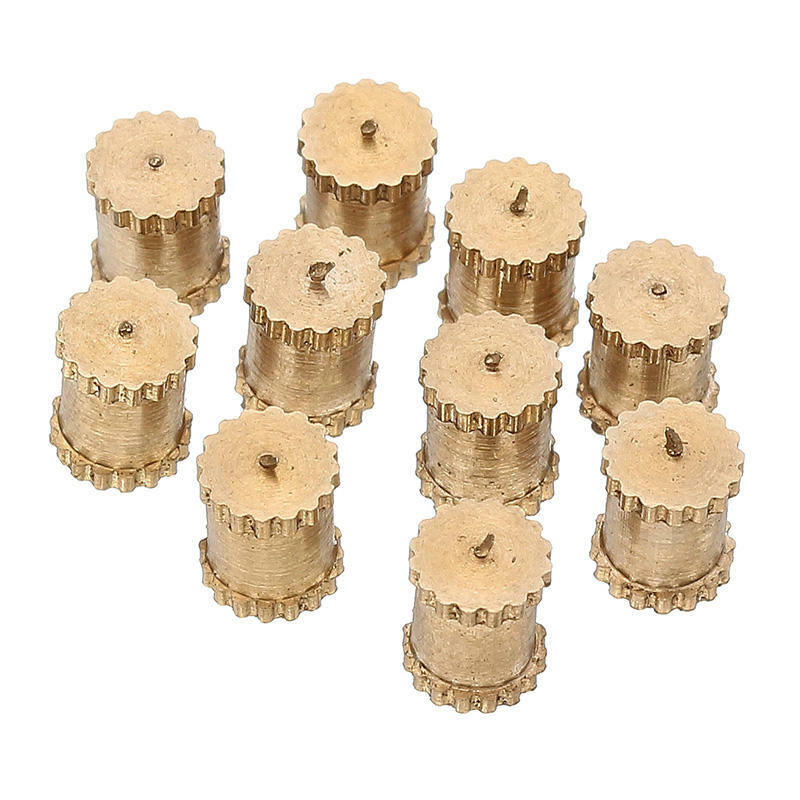 - Single pass knurled brass nuts. - Made of high quality brass, anti-corrosion and anti-rust, durable to use. - Usually Applied to injection molding, hardware springs, battery leaf springs, hardware stamping parts, and so on.